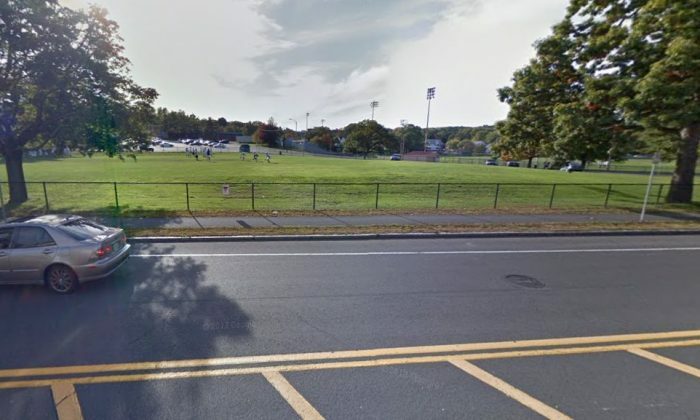 Officials ordered the evacuation of Holyoke High School in in Holyoke on Wednesday morning. The evacuation was initiated over a potential bomb threat, according to statement from the schoo. “Police officials worked closely with school and district staff to clear the building and sweep it for bombs. Police have found no evidence of a public safety threat in the building. We will continue working with police to ensure that the high school is ready to re-open in January,” Holyoke schools district Receiver Stephen Zrike Jr. said in a statement. Someone discovered a note posted outside a door in the morning after students arrived, suggesting there was a bomb at the school, Holyoke Police Capt. Manny Febo told local media outlets. Emergency crews have responded to the school. They include the Massachusetts State Police, Holyoke police and the Holyoke Fire Department, Western Mass News reported. Students were later escorted to Robertson Field. They had to call their parents and then went home. Crews have blocked the school off from the front. Nothing of danger was discovered after approximately an hour of searching the school, officials said. There were rumors that Holyoke Catholic High School, a different school, was evacuated, but those appear to be false. Holyoke High School is a public school, located about 5 miles from Holyoke Catholic High School. This morning, Principal Sullivan of Holyoke High School reported to me that a bomb threat had been discovered at the school. School leaders immediately notified the Holyoke Police Department. After conferring with them and in the interest of student and staff safety, I decided to evacuate the school as quickly as possible and dismiss all Holyoke High students and non-essential staff early. Our first step was to ensure the safety of all students by evacuating the building in an orderly manner and to work with the bus company to arrange for transportation for all students. Special education staff immediately began to call parents of students with disabilities who need special transportation. As soon as those steps were underway, I recorded and sent a voice message to parents of Holyoke High students. Police officials worked closely with school and district staff to clear the building and sweep it for bombs. Police have found no evidence of a public safety threat in the building. We will continue working with police to ensure that the high school is ready to re-open in January and to identify the perpetrator. I encourage anyone with information about today’s hoax to call the Holyoke Police Department at (413) 322-6900 and ask for the Detective Bureau. We will continue to share information with parents and the community as appropriate and as it becomes available. Holyoke is a city of around 40,000 people in Hampden County, Mass., and it is about 90 miles west of Boston.